Okay, picture this: You’re planning a destination wedding on Hilton Head and are in need of a quality DJ…or maybe you’re organizing your next corporate event and want a hilton head DJ to help make the event one that your employees will be talking about for months? The scenarios and reasons why you’re searching for a Hilton Head DJ could go on, but the point is you need a DJ and we have the best DJs in the Hilton Head area. End your search and let’s get this relationship started! Fine…you want a little convincing as to why we’re the best. It’s understandable, so we’ll tell you. 1. We have the experience working the Hilton Head scene. 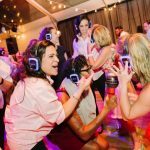 This also means that our professional hilton head dj’s have the knowledge and experience to cater to whatever the event is. If you need someone to simply man the music at your wedding reception, we can handle that. If you need a DJ to maneuver the corporate event atmosphere and introduce speakers or certain segments in the event, we can do that too. 2. No Hilton Head DJ has our music selection. We’re constantly updating our comprehensive music library to include the oldest of oldies and the newest hits. We understand that there is bound to be a range of tastes in both our clients and their audiences, so we want to be able to have a laundry list of songs to play for whatever your music taste may be. We also offer clients the option to create a “No Play List.” Let’s say there’s just this one song that is the equivalent of nails on a chalkboard for you or maybe you want your wedding to be void of the common wedding songs—whatever the reason, simply create your list. If a guest asks for one of those songs, our DJs will have a polite explanation as to why it can’t be played. On the other hand, clients are free to make a playlist of songs that they definitely want to hear. We also give clients and guests the option of submitting song requests online. This could be our uplighting service that enhances both weddings and corporate events (and whatever else you want!). Uplighting is the use of lights and colors to create a specific effect, ambiance, and atmosphere in a room. If you’re interested in using uplighting at your wedding, you can project your wedding date onto a wall or the dance floor in a color scheme that matches your reception details! We also have photo booths which are always a hit at events! 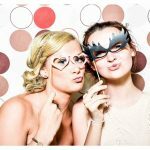 With unlimited photos for the length of the event, your guests will have a blast taking photos with our free props. You can choose a template to match your event, and all the photos taken will be downloaded onto a flashdrive. Plus, your social-media-loving guests can instantly upload their photos to whatever their favorite platform is (Instagram, Facebook, or Twitter). Want more? Give us a call today and we can talk about why we are the Hilton Head DJs that you’ve been looking for for your next event!